The floral pattern is one of the trendiest for the spring and summer time and there are versatile ways of how to wear it. You can choose to wear it bold, by choosing some floral dress or jumpsuit, you can get yourself some floral blazer or you can combine one floral piece of cloth, whether a skirt, top or pants, with some plain ones. Today, we have made a photo collection of 16 Wonderful Looks With Floral Skirts that will make you want to wear a floral skirt. There are many floral skirts to choose from in terms of style, colors and pattern, so you will for sure find that you will love to wear. You can wear such skirts as part of your office attire, your night out outfit combos and even as part of your special occasion outfits. 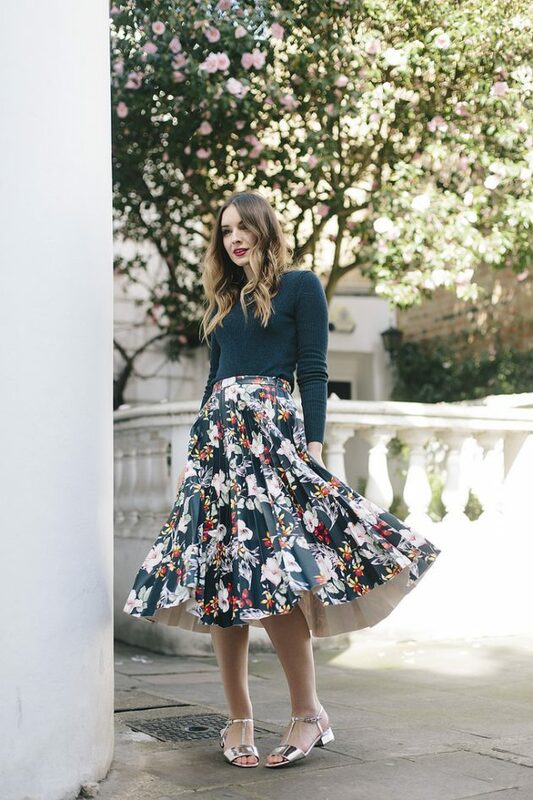 And there is nothing tricky in styling a floral skirt in the right fashionable way. Just pair it with a one colored top and you won’t be wrong. Most often the floral patterns come in different colors, which gives you the chance to make versatile outfit combos by combining the skirt with tops in colors from the pattern. For instance, if you choose a skirt with red, black and white pattern, you can combine it with red, white or black top. Scroll down now to see the outfits with versatile floral skirts, both full and pencil, that we have chosen for you today and do not hesitate to get yourself a floral skirt if you still don’t have one. Enjoy! When choosing a floral skirt, you can choose between a full or pencil skirt. 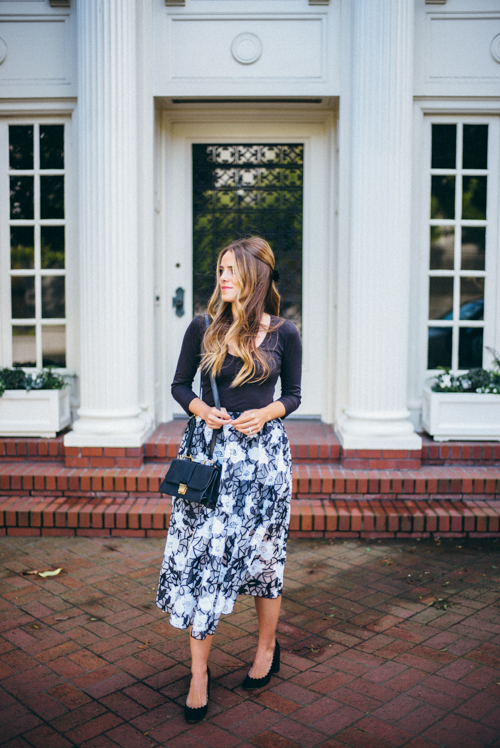 Full skirts are definitely the trendiest ones for this season. They give you the chance to show off your ladylike side. There are versatile ways to style them and one of the hottest combos may be the ones with crop tops. And of course, you won’t be wrong if you choose a floral pencil skirt too. Pencil skirts are women’s best friends. They are like a timeless classic and will never really go out of style and are perfect for accentuating your curves. So, which one from the above looks did you like the best? 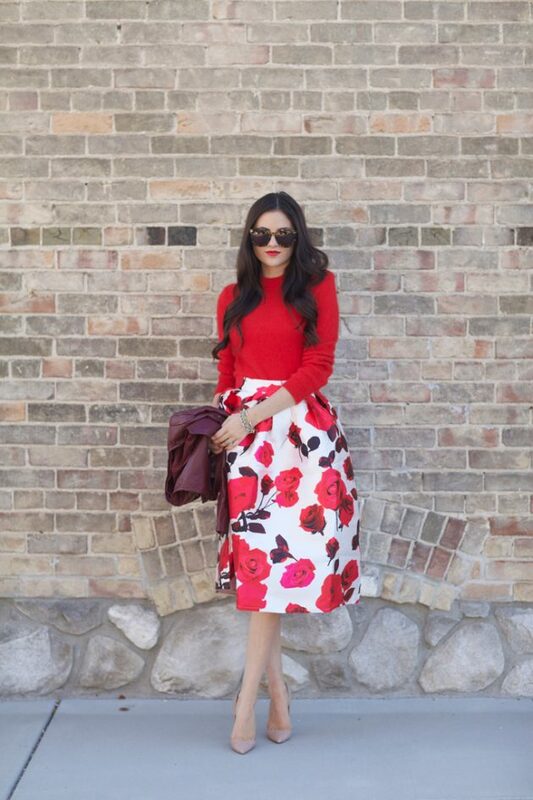 Would you prefer to wear a full or a pencil floral skirt? Tell us in the comments and of course, don’t forget to stay up to date with the content of Fashionsy to find many other outfit combinations that you can try to copy.